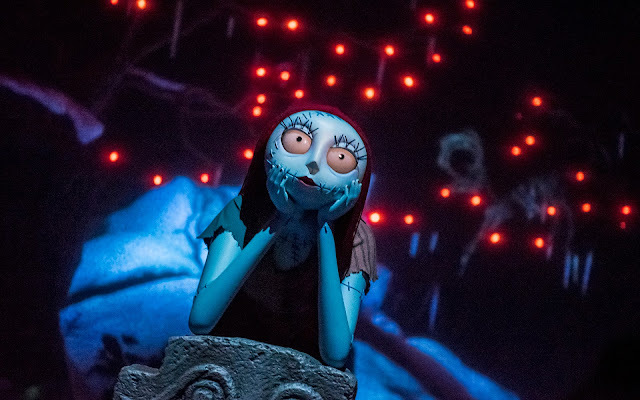 In Haunted Mansion Holiday history, Sally--Jack Skellington's love interest--has only been a recent feature in the ride. Prior to last year, she wasn't even in the ride at all--just a miniature version along the exit ramp after guests disembarked. But she finally did make her debut last year, and what a stunning entrance she has! Illuminated by moonlight in the graveyard scene, she rests against a tombstone, staring plaintively into the distance, pondering what may come of Jack's ambitions and how their future may unfold. 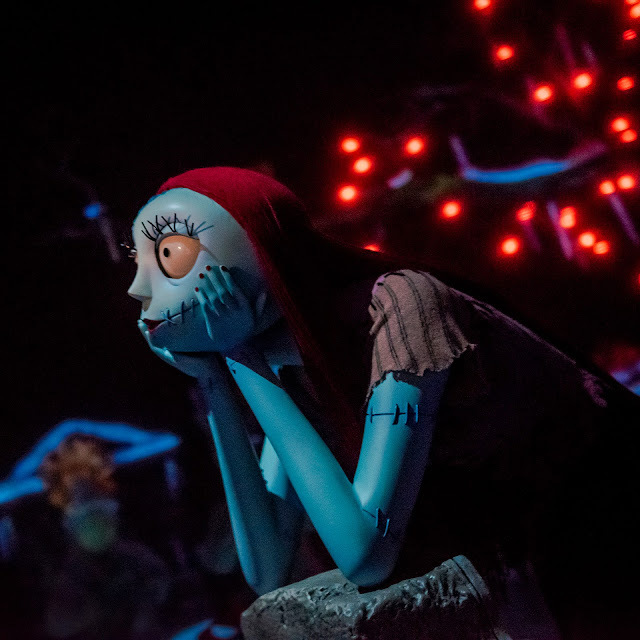 Things may not seem promising at the moment, but eventually, she will get her Pumpkin King.